Did you know you can make over $350 a month just by answering a few questions online through paid online focus groups that pay you? If you think that sounds too good to be true, don’t worry. We’ll show you how to make extra money just by being a part of legitimate online focus groups. How Much Can You Make with Focus Groups? Focus groups are a collection of people who are assigned to discuss a certain topic, usually having to do with a product or branding of a company. Think of it as a larger, more in-depth survey. Focus groups pay better than the short online surveys most sites offer. Companies pay good money for these groups because they help fine-tune their marketing of a product. The information you provide is very valuable to a company. Also, many focus groups can take place either in-person or online. 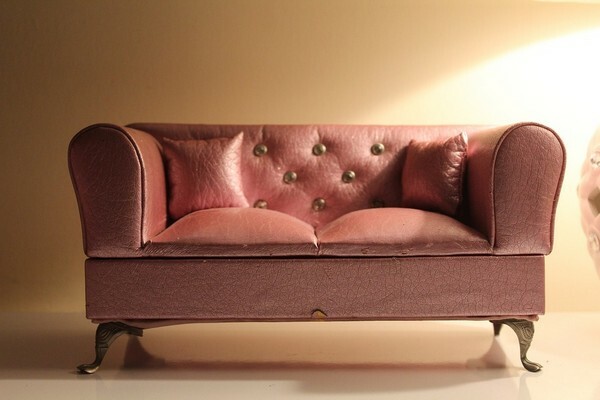 To find focus groups in your area, a quick google search will yield results. For the purposes of this article, we will be discussing online focus groups. How Online Focus Groups Are Conducted? You’ll have to answer questions about a product or brand. Some companies create focus groups for their own products or even for competitor products. Most online focus groups take a couple of hours at the most to complete. During a group session, you may need to join a video conference call, do an online chat with an administrator for the group, or simply record yourself speaking. Just like online surveys and mystery shopping jobs, the exact amount you get paid for each study differs based on the topic, length, etc. But to give you an idea, you can expect to make anywhere from $10-$20 to upwards of $150-$200 per focus group. That said, there are rare studies that pay much more than that, like a few hundred dollars or even up to a thousand or more, but those are very rare to come by. More of those high paying studies are usually available with offline focus groups where you have to show up to an actual location where the study gets conducted. Those usually take from 30-45 minutes to an hour or two. Here are the top, reliable online focus groups you can join. These are all trusted market research companies that are known for paying their participants well and on time. Step 2: Check your email for a verification/confirmation email. Step 3: Sign-in to your profile and complete the information that tells us who you are, what products you use, etc. This is a less impressive site for focus groups than the others, but it is still worth looking into. You get paid for participating in groups, taking user tests, interviews, mock juries, and more. Pay depends on the activity, but you get about $100 for about two hours of work. If you live in Chicago or San Francisco, you can sign up for their in-person activities and get paid immediately after completing them. For the online stuff, it takes about a month to receive your payment. Want to know what kind of stuff Google is producing? Join their research panels to check out their newest stuff and give your opinion on it. The pay isn’t as high as some of the other panels we’ve listed, however, you can still earn gift cards or charity donations. While the name implies that this company does pay users for doing surveys, they actually offer more ways to make money! You can also join their focus groups. Simply sign up, fill out your profile, and then the company will email you any time you are eligible for their surveys or focus groups. The site works on a point system where 1,000 points equal $10. It takes about 20 minutes to earn 1,000 points just by doing surveys. However, their focus groups award far more points. While this site only occasionally offers focus group activities, it’s definitely worth it to sign up for the site just to watch out for their offers. That’s because they pay very well for them! Most of the groups on here take several days to complete, however, they pay a lot of the time it takes. The site also pays up to $5 per survey, so you can make some extra cash while you wait for a group offer to come out. Check out our full review of this site here! While you can make approximately $10 to $30 for Toluna’s surveys, they also offer focus group activities you can be paid for. After you complete a survey, you have a chance to be invited to their groups if your profile information matches up to what the qualification of a group study. Toluna also works off a point system. Some focus groups can be worth over 50,000 points, which is worth a ton of money when you cash out your rewards. Check out our full review of this site here! Short group studies pay about $50 here, but bigger ones reach about $250. If you are a part of the medical industry, you can join their Healthcare Professional panel. However, they also have Business Professionals Panel that other people can join. After you sign up and complete your profile, they will email you with any qualifying offers. This is a very promising company that offers studies for all sorts of hobbies and brands. Most recently they had a focus group that paid $575! They also have smaller studies that only take a few hours and pay $50 each. These ones are usually done over the phone, so make sure you got access to one before agreeing to do it. 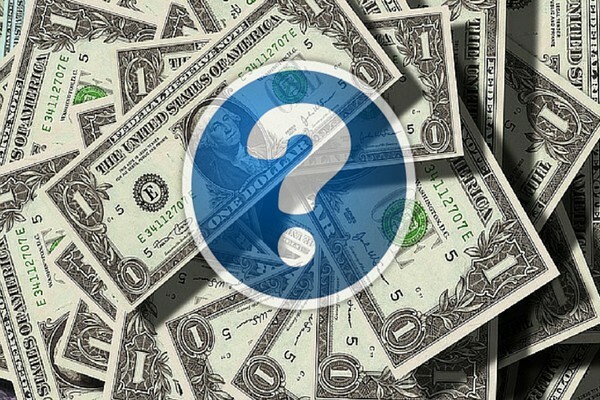 You can also choose to do surveys which earn about $1 each. While this site obviously caters more toward surveys, they offer focus groups as well. Once you sign up, they will email you survey and focus group offers you qualify for. After you finish the offers, you will receive points which can be redeemed for prizes and money. You can earn $50, $100, or even $300 for every paid study you qualify for on this site. All you have to do is sign up and they’ll send you offers. They will post surveys on their Facebook page or send them via email. If you qualify, they will then get in touch to give you the details of the study and help you get started on it. If you are a member of this site, companies will pay you to hear your insights recorded via video on your smartphone, tablet or webcam. All you have to do is apply for a study, record your answers to the questions they ask, and then get paid $50 for each study you complete. This is a unique study group type that has you doing 1 on 1 interview for studies you qualify for. Most interviews are done on the phone and online, but you can also find in person or at home ones if you wanted. A great factor of this site is that they show you what you can earn before you apply. Many of these studies pay $50 for every 30 minutes you spend. However, keep an eye out for some higher paid ones because they show up often. One currently pays $250 for 30 minutes! 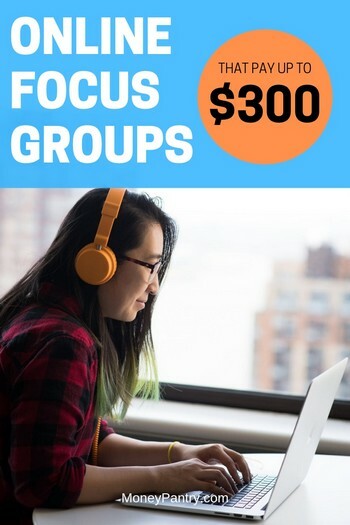 Get paid $50 to $400 for completing some simply focus group projects. Many of the companies they work with are considered to be “fun” such as television commercial producers, beauty product companies, and soda companies. Most of the studies are conducted either online or over the phone. This site has been a popular paid focus group and survey site for many years. Groups take place in a chatroom, but they also sometimes have offers for phone or mail in focus groups. Each study you take part in pays about $50. This company works with startups and Fortune 500 companies to provide user-based market research. Basically, this means that all the information they give to companies is provided by paid users like you. They provide short and long group studies. While the short ones only pay in pocket cash, some of the longer groups pay up to $100 each. The average payout for this site is about $140 an hour, and the average time it takes to complete a study is 30 minutes. They have projects that are available to US Residents as well as International. This means you don’t have to be in the US to earn from $50 to $250 per research project. Once you create an account, you can browse all the open studies you qualify for. Then, you simply answer a quick questionnaire to apply for the study. If you get accepted, you’ll get contacted by the company to start working on it. But if you don’t live near any of these locations, you can still apply to join their national database. This is another market research company that offers focus group activities. When you register, you can the option to do your interviews over the phone, on the internet, or in person. By participating to one of their focus group, you can earn anything from $50 to $250. Like most of these sites, they pay through a point system. You’ll need to earn 1,000 points ($10) before you can cash out. On the site at this moment, they have several offers for over a $100. Some of them get as high as $250! Most sessions last about one to two hours, which means you can make about $50 an hour on average. The average pay for this site is $50 to $200 for a two-hour session. Groups are held during the day and in the evening. If you meet in person, they will also give you food and refreshments. Get paid to test websites, apps, speak your thoughts, and complete various tasks. Earn $10 for every 20-minute video you complete, for up to $60 per project. Money is paid to your PayPal account. A PC or Mac, an internet connection, and a microphone. Once you sign up for this site, you’ll have to take a 3 to 4-minute long survey for them to figure out what groups you’ll qualify for in the future. Then, every time they have an offer that fits you, they’ll let you know! If you are a medical professional or a consumer with experience dealing with the healthcare industry, you can make money off this site. Simply sign up and start joining their groups. This is one of the most popular survey sites in the world. However, they also offer bigger paying group activities! Most surveys pay about $1 each one you do. Their groups and bigger surveys can pay about $50 to $100 for an hour. To learn more about Ipsos i-Say and how you can make the most money with it, check out our honest review of Ipsos iSay survey. Pay can vary from $1 to $50, the higher payments reserved for big projects like the groups. Participate in a paid focus group, test new products, taste new snacks and beverages, watch new TV shows, take online surveys, and more with this company. Studies pay between $75 and $200 and are done either over the phone or via a web camera conference. This company mostly works with healthcare and other medical industries, so if you have a background with dealing with those industries, or if you work in the medical industry, this might be the perfect place to sign up! Most of the focus group material is about brand names, tag lines, concept testing, and more. All you need to do is sign up and fill out a profile. After that, you’ll be emailed any time you qualify for a group. What we listed above are simply the most popular sites. You can actually find many smaller groups out there that may be easier to get into because they have less users. However, this also might mean they pay less than the ones we listed before. You can use this site to search for groups near your city or state. They have over 60,000 groups from all over the United States here. You can also find some paid surveys on here. Most of the listings on here are around $100. There are over 10,816 groups from 47 different cities on this site. They also do surveys and clinical studies. You can search by location, gender requirements, and more. Most of these payments are over $100, some of them even reaching $200. This is a global site that’s all about focus groups, one-on-one interviews, and clinical studies that can be found all around the world. Most of the offers on here pay over $200, but most of them do take some time to complete. Contribute to science by participating in market research, clinical research, clinical trials and focus groups. Browse local studies and opportunities from USA, Canada, UK and Australia. Most of the offers on here pay over $100, some of them even reaching $200. If you still want more groups, we have a few tips. 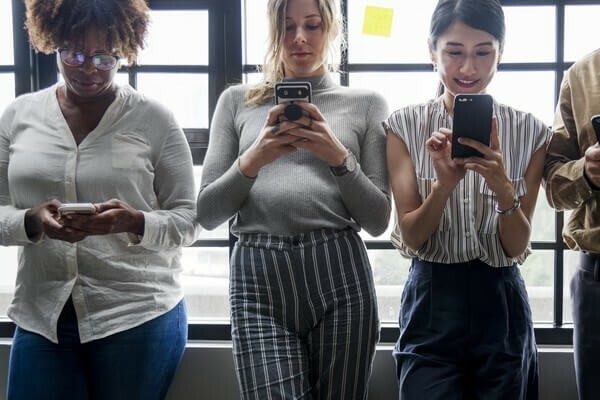 If you want to find paid focus groups near you, Craigslist is a great place to find legitimate market research companies that conducts focus groups near you. A lot of companies and even universities that conduct paid studies, post ads on Craigslist to find local participants. Search on Craigslist by searching for terms like “focus”, “focus group”, “paid survey” and other related phrases. These will likely give you more local results, which will obviously be easier to participate in because they are near you. You can also search on Facebook and Reddit to find more paid focus group opportunities. While it’s likely that online focus groups won’t pay all your bills, you can still make some pocket money with them. Remember to not take on too many that you can’t handle. If you perform poorly in a focus group, you may not be selected to do another with that particular company. However, if you do a good job, you are likely to be selected for even more in the future. Have you used any of the ones we listed above? Did we miss any of your favorite online focus group companies? Let us and our readers know about your experiences in the comments below!